We’re slowly coming to the end of a long holiday weekend in Poland. Each year Poles get both May 1 (International Worker’s day) and May 3 (Polish Constitution day) off from work. On bad years one of these days will fall on the weekend and part of the holiday is lost. This year was a good year, with the holidays falling on Wednesday and Friday, meaning that in practice most Poles had a five day weekend. These long weekends (called by Poles Majówka) are special events in the Polish holiday calendar as the whole country sets off to the mountains or the lakes and aims to consume huge amounts of Kiełbasa (Polish sausage) and one or two piwos (beers). 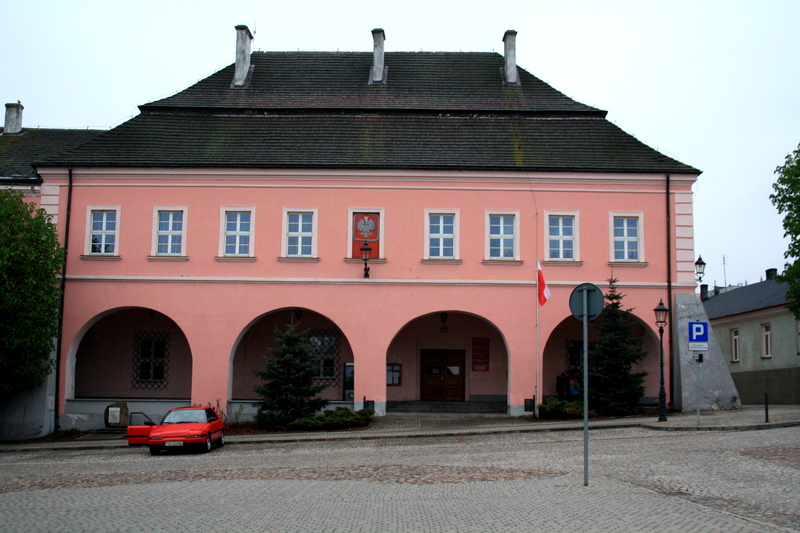 My Majówka consisted of travelling with my girlfriend to the Kielce area, equidistant between Kraków and Warsaw, to walk in the hills which surround the town. Interestingly enough this coincided with Polonia Warsaw’s trip to Korona Kielce on Friday night. Indeed we would have gone to the game (there wasn’t much else to do in the evening) if it wasn’t for the fact I had left my passport back in Warsaw. We instead decided to find a pub to watch the game in the small town of Opatów, close to where we had walked during the day. Unfortunately we couldn’t convince a pizzeria owner to show the match so we missed Polonia’s 1-1 draw in Kielce. This weekend’s weather was hardly the best, with grey skies and rain throughout most of the country. As is so often the case the sun came out as soon as we got back to Warsaw. 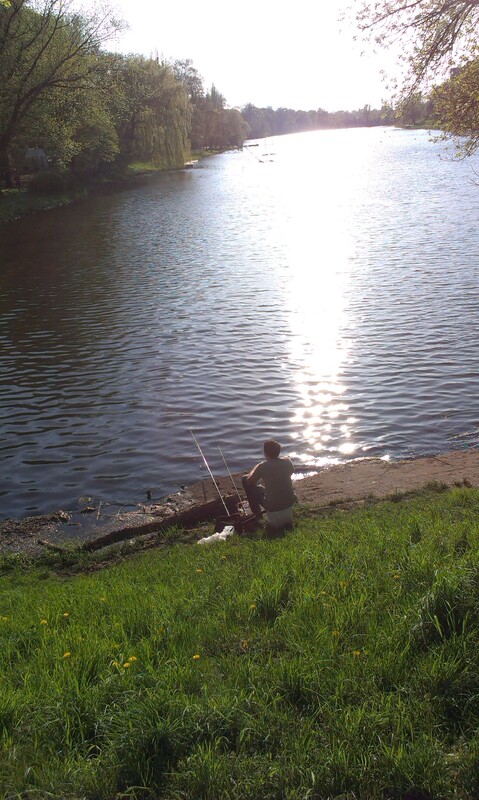 In order to make up for the sun we were owed, we headed for a walk in Warsaw’s expansive Park Skaryszewski. 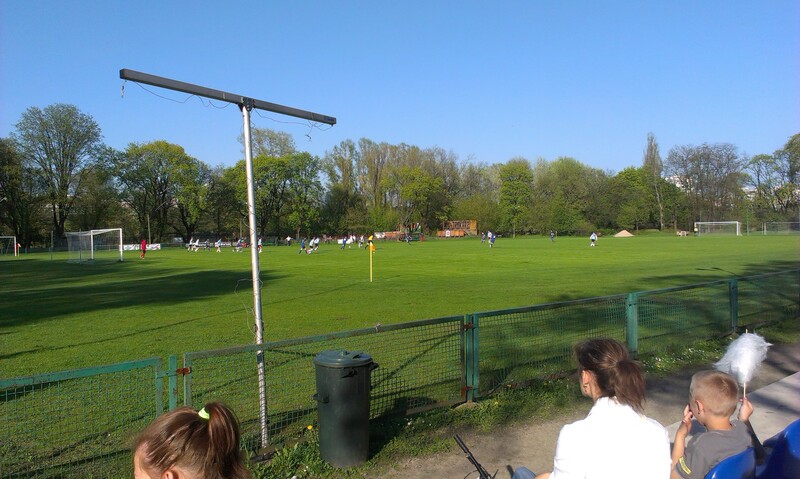 As it happened our walk took us past Drukarz Warszawa’s ground. 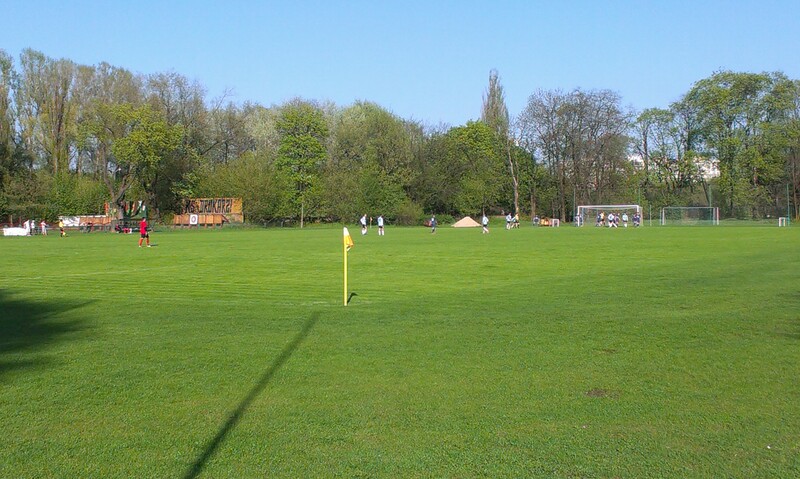 Several weeks ago I had the chance to see Drukarz play on their artificial pitch, but now I was able to have a look at where they normally play their games. I have to say I was impressed with what I saw. I may have been affected by the weather and the holiday atmosphere but Drukarz seemed to have a lovely, well looked-after pitch with around 1000 or so seats laid out on one side of the ground. It all felt very cosy and welcoming. A youth team was in action and there was the usual collection of parents out on walks and teenagers taking in a bit of the game. Just before full-time we set off home with a warm feeling inside. 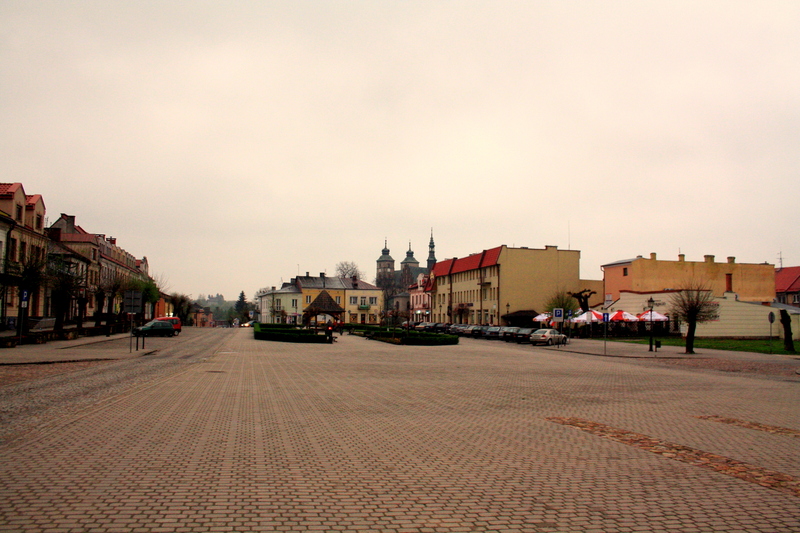 It was a lovely way to end what had been, weather-wise, a relatively dreary Majówka. 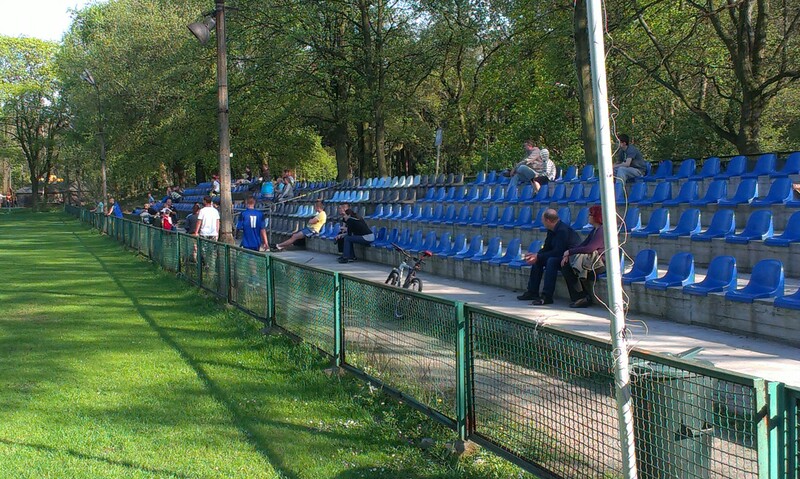 This entry was posted in Uncategorized and tagged Drukarz Warszawa, Groundhopping, Kielce, Korona Kielce, Majówka, Opatów, Park Skaryszewski, Polish football, Polonia Warsaw, Warsaw. Bookmark the permalink.